If you already own a custom domain and you wish to attach a sub level domain to a new page on your blogger blog then this article is for you. If your blog already has a custom domain name like www.yourblog.com and you wish to create another page related to your website for example info.yourblog.com you do not need to bother to go purchase another domain name. To create a sub domain on your already owned domain name is quite easy and all you need do is create Cnames. Let’s assume you want to point info.yourblog.com to ghs.google.com. Now I will be giving you guidelines on how you can add a sub domain to your already owned blogger custom domain blog. Now let us look at how he can create a sub domain for your existing blogger domain name. -Go to your domain name provider’s account and navigate to your dashboard. -Navigate to your owned domain tab and in the drop down menu select “my domain” and thereafter select “Manage Domains”. 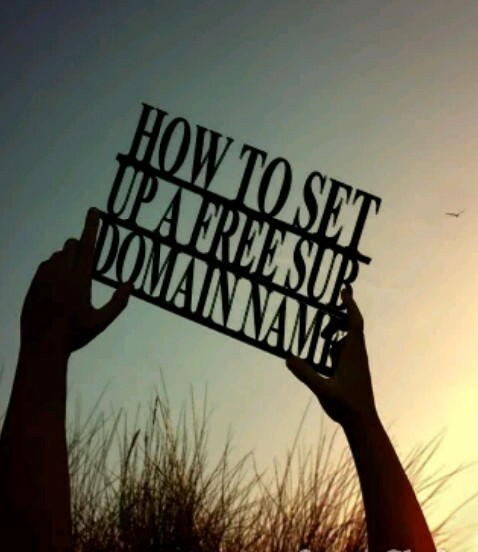 -Now click on the particular domain you want to create a sub domain for if you have more than one domain. - Configure the CNAME by entering ‘info’ as Host Name, ghs.google.com as address and CNAME as record type. -Go to blogger.com and sign into your blogger dashboard. -Next provide your sub domain info.yourblog.com. If you have any difficulty kindly contact me through the comment form and I will be glad to assist you.